There are several precautions you can take to have the best day outside ever with your exotic pet. Your exotic pet might enjoy a day outside enjoying the warmth and sunshine. However, just as with all aspects of exotic pet care, your pet will require special precautions to maintain their safety when you take them outside. Although a domesticated pet may be fine with some tick and flea medicine — and a leash — exotic pets have other requirements to maintain their well-being when outdoors. The following are some tips for taking your exotics outside safely. If your exotic is a furry mammal, such as a hamster, rabbit or ferret, then they are susceptible to ticks and fleas. Fleas can come in contact with your exotic in the grass. Without a prevention method, your pet and your home could be overrun with an infestation before you are aware of a problem. Ticks can also get on your exotic outside; in addition to causing pain and a risk of infection from their bites, ticks carry disease. You can’t use the same products on exotic pets as you would on a dog or a cat. Your veterinarian can tell you which type of tick and flea prevention product will work for your exotic. Follow the product’s directions for application. And steering clear of tall grass and keeping a close eye on your pet helps as well. With spring and summer comes lush, green vegetation. Many plants are toxic to different types of animals, however. 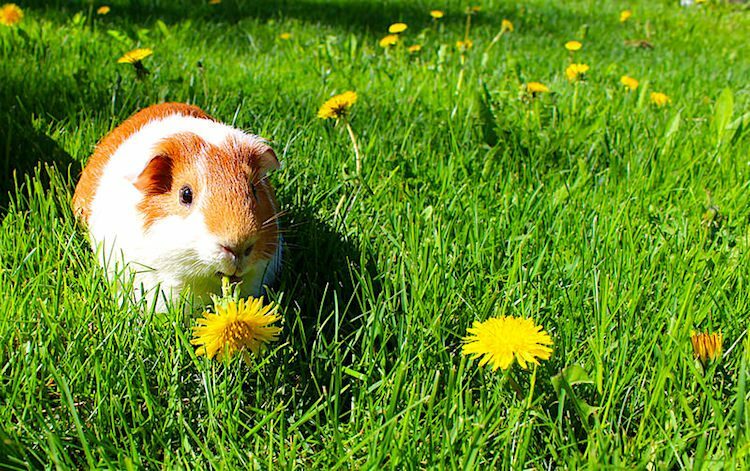 Even though you may feed your exotic greens and think that letting them nibble on fresh grass or leaves outside is a good idea, you could be putting your pet at risk. Not only could they ingest something poisonous, but also they could be ingesting pesticides or chemicals from fertilizers. If these chemicals have been used anywhere in your yard, rain can cause the chemicals to run off into the grass. Provide a grass-free area or cover the ground with a blanket or tarp for your pet. Bring a safe snack from your house for your exotic to nibble on. For your exotic to safely enjoy the outdoors, you need to take precautions to avoid injury to your pet and to prevent them from escaping. 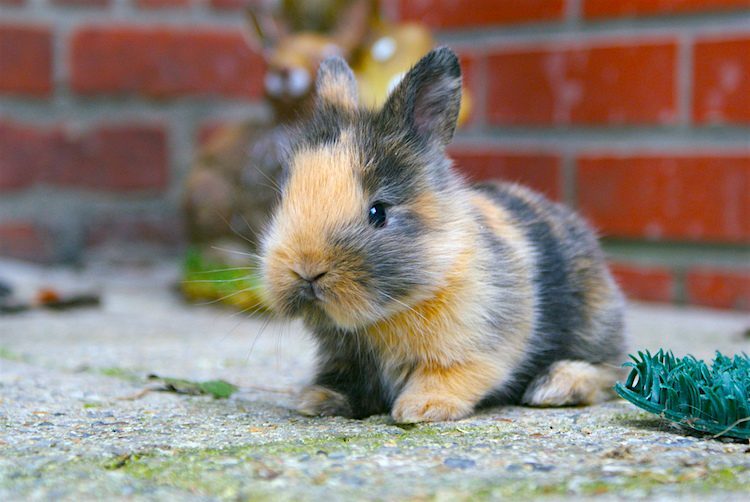 Mammals, including rabbits, hamsters, guinea pigs and ferrets, should be placed in an enclosed pen, preferably with a top and a bottom so the animals can’t dig their way out. If there is no top on the pen, make sure that the sides are tall enough to prevent your pet from getting out and potential predators from getting in and harming your pet. Regardless of the type of pen you are using, do not leave your pet unattended for extended periods. A predator could injure your pets through the wire with a swipe from sharp claws or damage the cage to get to them. Many exotics can easily become overheated, so take precautions to avoid this. Provide plenty of water for your pet as well as ample shady areas. Do not place your exotic in direct sunlight for an extended time. Some reptiles enjoy warm temperatures, but direct sunlight for long periods can cause them to dehydrate. Birds should not be taken out unless the wings are clipped or they are contained in a cage. If they aren’t, a sudden gust could pick up your bird and carry them away. Tethers for birds are not recommended for outside use because it is quite easy for many birds to slip out of them. Tethered birds can also suffer leg injuries. Taking your bird out while inside their cage is the safest option; your pet can enjoy the sunshine without risk of flying away and becoming harmed. If you want to take your exotic pet outside, consider getting them microchipped. If your pet gets away and is found, the registered microchip can get them back home to you safely. An exotic pet can often travel a great distance upon escape. Without microchipping, if your pet is found, they won’t be easily reunited with you.